HP took the wraps off a raft of new Windows notebooks, tablets, and convertibles today, including the first computer to feature an embedded Leap Motion controller, which lets you manipulate interface elements with the wave of your hand. HP also announced new convertibles bearing its Pavilion and Spectre brands, and a new Bay Trail-powered tablet under the Omnibook brand. The Leap Motion controller is embedded in the wrist rest on the right side of the computer, whose full name is the Envy 17 Leap Motion Special Edition. The controller was very responsive during a demo earlier this week, as Kevin Wentzel, HP’s technical marketing manager for consumer PCs, waved and twisted his hands over the sensor. HP’s Envy 17 Leap Motion Special Edition has a sensor embedded in its wrist rest that allows you to control the computer using hand gestures. The Envy 17 Leap Motion SE, which Wentzel described as a “power notebook” with a 17.3-inch display, will come with a handful of applications designed to take advantage of the controller, including a trippy animated drawing program, but it should also be compatible with any apps downloaded from Leap Motion’s Airspace store. “We’re not suggesting it will replace your mouse or touchscreen,” said Wenztel, “but we’re looking forward to seeing where the technology takes us. It’s early days, but we’re enthusiastic.” Pricing for the Envy 17 will be start at $1050. It will be available for preorder October 16. HP’s Kevin Wentzel demonstrates the accuracy of the Leap Motion controller. Amy Barzdukas, HP’s VP of consumer PCs, showed off the new Spectre 13 x2 at the same briefing. The 4.3-pound, aluminum-clad, Haswell-powered convertible Ultrabook boasts entirely passive cooling—it has no fans. It will have a detachable 13-inch touchscreen with a resolution of 1920 by 1080 pixels and two batteries, one in the display and the other in the keyboard. It will be priced at $1100 and available for preorder on October 16. The Spectre 13 Ultrabook has a fixed display, but it features a new trackpad design that HP has dubbed the HP Control Zone and it’s optimized for navigating Windows 8. You stroke your finger in from the right edge of the trackpad to bring up the charm bar and stroke in from the left to switch between applications. Barzdukas said the new Ultrabook will weigh around three pounds and deliver nine hours of battery life. It becomes available for preorder on October 16 for $1000. The new HP Spectre 13 x2 convertible runs completely silently, thanks to the absence of cooling fans. 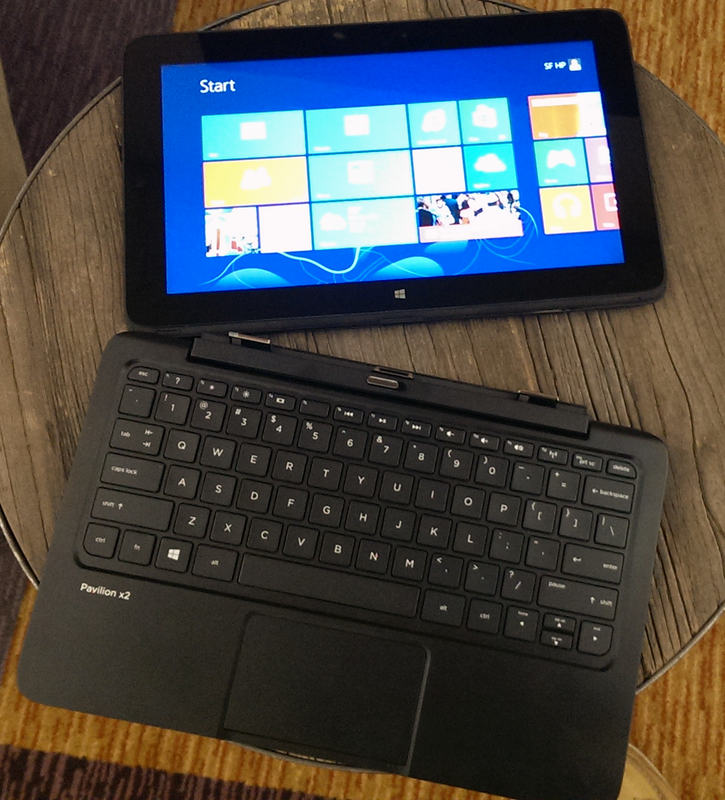 HP is adding a pair of new tablets to its Pavilion line. The Pavilion 13 x2 and the Pavilion 11 x2 (which replaces the earlier Envy x2) will be available with either AMD A6 processors or Intel’s fourth-generation Core processors (aka Haswell). The touchscreens on both models will have a resolution of 1366 by 768 pixels, and both will be shipped with a keyboard dock that harbors a second battery. The new Pavilion x2 convertibles will be powered by Intel’s new Bay Trail processor. The Pavilion x2’s will be outfitted with 2GB of memory, 64GB of flash storage, a MicroSD card slot in the display, and a full-size SD card slot in the keyboard. The keyboard will also have a USB port and HDMI-out. Prices for both models will start at $599 when they go on sale November 17. HP also announced a Windows 8 tablet, the Omni 10, that will be powered by an Intel Atom Z3000 processor (aka Bay Trail). Like the Pavilion x2 models, the Omni 10 will have 2GB of memory, 64GB of storage, a MicroSD card slot, and HDMI-out (at a resolution of 1920 by 1080 pixels). The tablet’s display will have resolution of 1920 by 1200 pixels. HP will offer a charging stand and a Bluetooth keyboard, but HP has not announced pricing for the Omni or its optional accessories. The device is expected to ship in November. 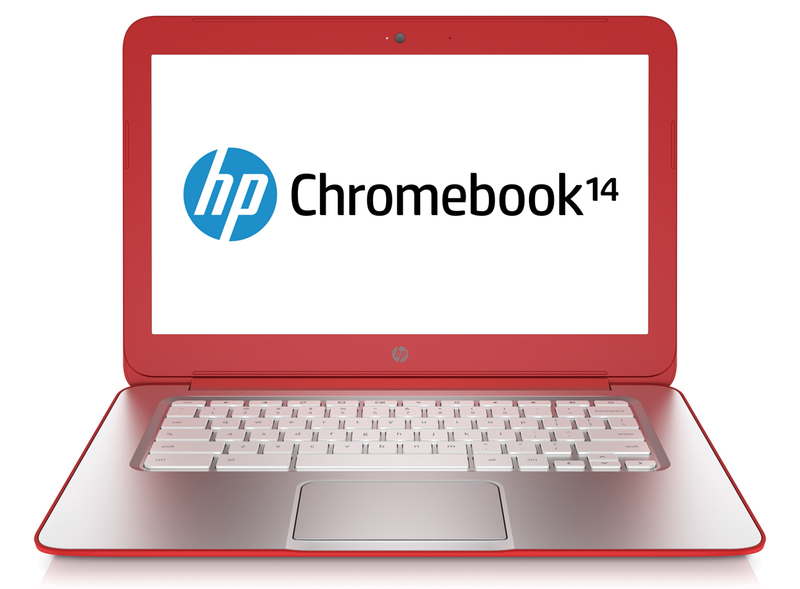 The HP Chromebook 14 has a 1366-by-768-pixel display, an SD card slot, HDMI-out, USB ports, and a headphone jack. It’s expected to provide 9.5 hours of battery life. The $299 model relies on Wi-Fi, but for another $50 you can get a 4G model with 200MB of bandwidth per month for 24 months (through T-Mobile). Not to detract from HP’s announcements, but at this point I have to ask: Just how many brands does one company need? On the consumer side alone, HP has ten brands: Envy, Omni, Pavilion, Phoenix, Recline, Rove, Slate, SlateBook, Spectre, and TouchSmart. Add in the apparently dormant Firebird and Voodoo, and you have a brand for every month of the year. Things really get confusing when HP combines them: Envy Rove, Envy Recline, Pavilion TouchSmart, Envy TouchSmart, and more. 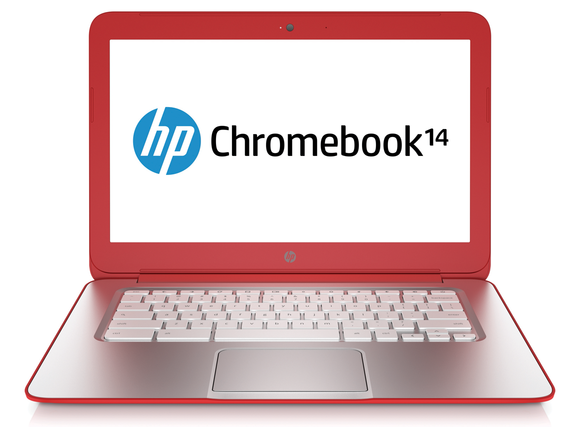 Come on, HP, give us a break: Simplify your brand strategy!